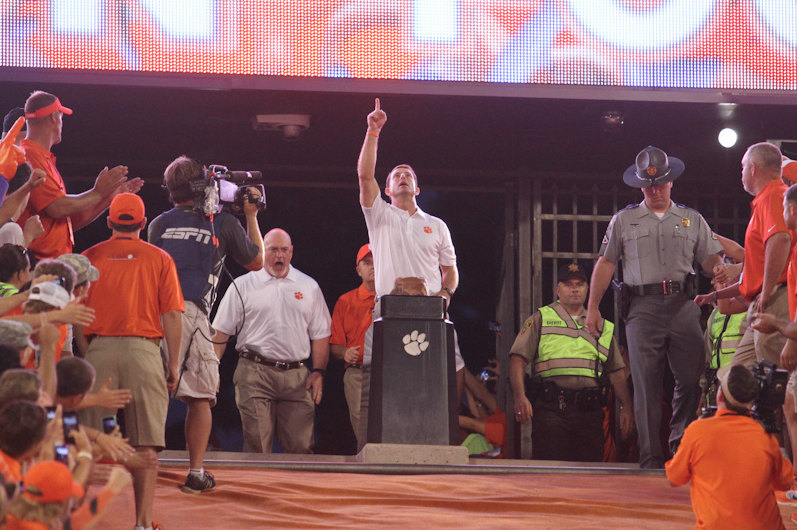 When we all know Christ in his fullness, there will be infinite praises of what he did at Clemson University. Until that time, we praise him know for the many glimpses of grace and love that he has shown us over the years. I will never get to fairly express my loving angst for the faithful believers at Clemson. Those that were there in the past, those that are there now, and those that Jesus has coming in the future. Some of the daily joys of my heart come from just the thought of you all. Not the school itself… there are schools all around the world…but more so the warm awareness of the Christ-exalting lives that are being lived there. Oh how he loves us. Through all the cloudy sinfulness that occurs at every college – through all the materialism/superficiality, through all the alcohol and sexual deviances, through all the idolized focus on college football, through all the student loan debt, through all the Instagram photos and Facebook stalking… the presence of Christ on that campus still radiates in such a way that new people are constantly being saved. That is not a normality on American campuses. God has chosen you and given you a greater portion of grace. Many students elsewhere do not have the same opportunities to meet Christ as you have. You can go to the Starbucks right now and see a plethora of students with their Bibles out or conversing about God. There are 18 different campus ministries at Clemson. Each of which has believers that radically love Jesus and has evidence of fruitful relationships with our Savior. May those 18 campus ministries be unified in such a way that, as Philippians 2 puts it, “they stand firm in the faith, SIDE-BY-SIDE, in ONE spirit so that others will know just how seriously real our God is”. My goodness that verse riles me up. The fact that there are thousands of believers growing together praying together meeting together as I am typing this post, riles me up. I think of the many people in FCA with their energy and youthful exuberance displayed every Thursday night. Their God-given presence is a force and has been for years. I love the way you love God and how God used you in my life. I repeatedly reflect on you guys. To BCM, Greek IV, Young Life, Chi Alpha, CRU, Campus Outreach and the 11 other campus ministries, your presence does not sit well with the powers of darkness. The spiritual realm of darkness loves to try to tear all of you down. But God is with you. I love love love when I hear stories of your ministries. Stories of growth and missions. I long for the day in heaven when we will all be together at the Wedding Feast of The Lamb. We will rejoice on that day of all that God did. May you continue to “draw near to God with a sincere heart in full assurance of faith” and “devote yourselves to prayer” (Hebrew 10:21; Colossians 4:2). Doug Hunt, you’re such a leader on that campus…let alone your ministry. I learned so much from your wisdom and peaceful spirit. David Pearson and John Longshore – it is absolutely true that you two are like ‘The Sons of Thunder’ ascribed to James and John of the New Testament. Your fruit has eternal significance. One day you will see it in its fullness. On that day you will thank God even more for his sovereign grace in using you in his epic plans. Austin Alvarez, Lassi, & Andy Robinson – your house church. My gosh your house church. Need I even go on? It was freakin’ amazing!! You guys would read the Bible and then, for some crazy reason, you followed it faithfully. I’m still shocked. Over the years, your group paid dividends to the spiritual well-being of Clemson. You would pray and things would happen. You have stories that can fill a novel. God’s hand is over that group. To the women that love Jesus – you are God’s precious daughters. Your faith is as important as the air we breath. The body needs you. No matter how foolish we men are at times, remember that Jesus is the perfect man and that you are His first. I pray for godly men in your life. Laura Haynie – God uses your joyful heart powerfully. Satan tried to break our ministry down with a foray. My last year in Clemson was tremendously tough spiritually because of it; but having you as a co-leader by my side was a wonderful blessing. The Spirit shines through you. I am excited for how God uses you next. Miguel Chavis, Gray Gardner, Jonathan Whittle – Your love for scripture and truth is beyond measure. Our generation scoffs at it, along with them having an increasingly low attention span. However, The Lord loves your will for meat and to see people come to know the true nature and character of God. I pray that you three, and the others in your friend-group, do not loose these opportunities to grow together. A time is coming when you will not be able to convene together so easily. Life happens. Sammy Watkins – I pray for you a ton brotha. Like you are my real brother. Not at all for football. But for your eternal growth in the Lord. Something a matters infinitely more. To my church in Clemson, you were my first love since Freshman year when you brought me in. I miss you all tenderly. As you very well know since I cried my last time I was there, ha. I pray that you all continue to grow in wisdom and in the faith. Continue to do life together as God has asked of you and of which you are doing. Jimmy and Laura Gann – you two astonish me. You get married in June of 2012. Within a few months you’re packing up and moving to India because Jesus told you to do so. You are the righteous ones that live by faith. My Clemson Tiger family, we are blessed. Please stay connected. Be vulnerable. Eat together. Pray. Let’s experience life fully by giving our heart to our Lord and Savior. Now lets win some football games while we’re at it baby!!!! Earnest! This is great. People need to do this kind of thing more. 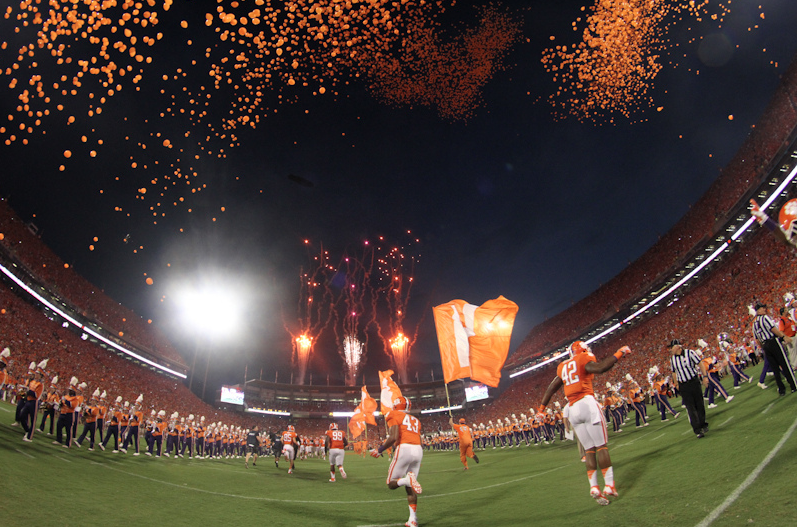 And having recently left I can understand that angst and longing for the Clemson family. I actually thought of you the other day, I met an older guy who kind of reminded me of you, but that’s besides the point. Thanks for the encouragement, and I know that those people you mentioned will be super encouraged too! And that’s what we’re supposed to do. I love you and miss you Earnest! Thanks Morgan. That’s a great idea actually…for people to do this kind of thing more. That did not even dawn on me until you mentioned it. That would be legit. And oddly enough I meet a ton of older guys that make me think “woah…this guy is me in the future”. Happens a lot ha.